Manwaring Moments: Is it Monday or What? You know you're going to have a "day" when you start out by trying to put Desitin on your toothbrush instead of toothpaste. Seriously, why do the tubes have to look so similar in the dark? Oh, and go enter Kat's final giveaway. It's a doozie! I went over and got in on Kat's giveaway. Comment #263. Think I'll win? Yeah, right! And I suppose that is why things like desitin. And neosporin. And such are in a drawer. And my toothpaste is in a cup. But then again, I have children who like to rearrange things. Now I have to be more vigilant. for some reason i'm having trouble getting my comments to stick on your blog. i'm sure your editing them out because of all my terrible language:) Anyways i tried posting yesterday and i was just curious did you smell the desitin before it actually reached your mouth? ewwww! Shall we start calling it Monster Monday? Manic Monday? Messy Monday? LOL!@!! 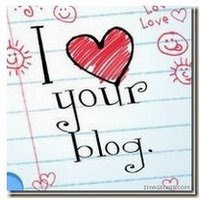 I haven't laughed out loud like that at a bloggy post in a while! So funny! I'm so glad you actually caught that it was Desitin before you "caught it somewehre else (in the mouth)!" I swear, one of these days, you and I are going to write a script of "mommyness" and go down to the local open mike at a comedy club and make people's days. This material is just too good. Yes, I get to have the microphone. Why does "open mike" look just wrong?